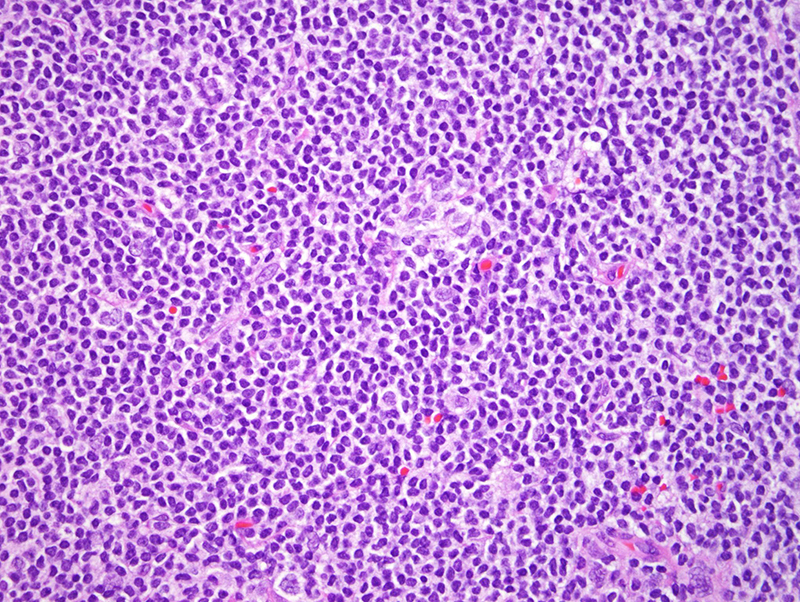 The biopsy shows classic features of a follicular lymphoma. 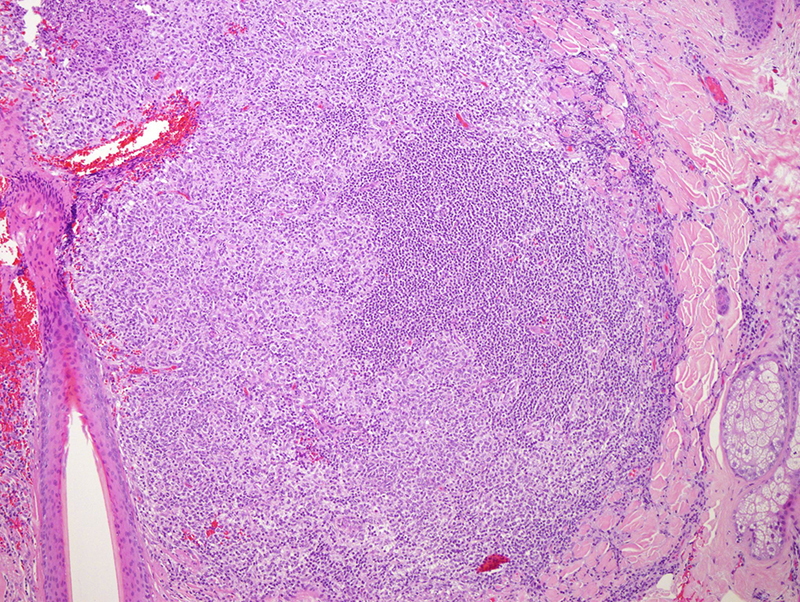 The nodular germinal center-like architecture and cytomorphology along with the corroborative phenotypic profile is typical for this form of B cell neoplasia. In this case, the neoplastic cells expressed CD10, Bcl-6, and Bcl-2. 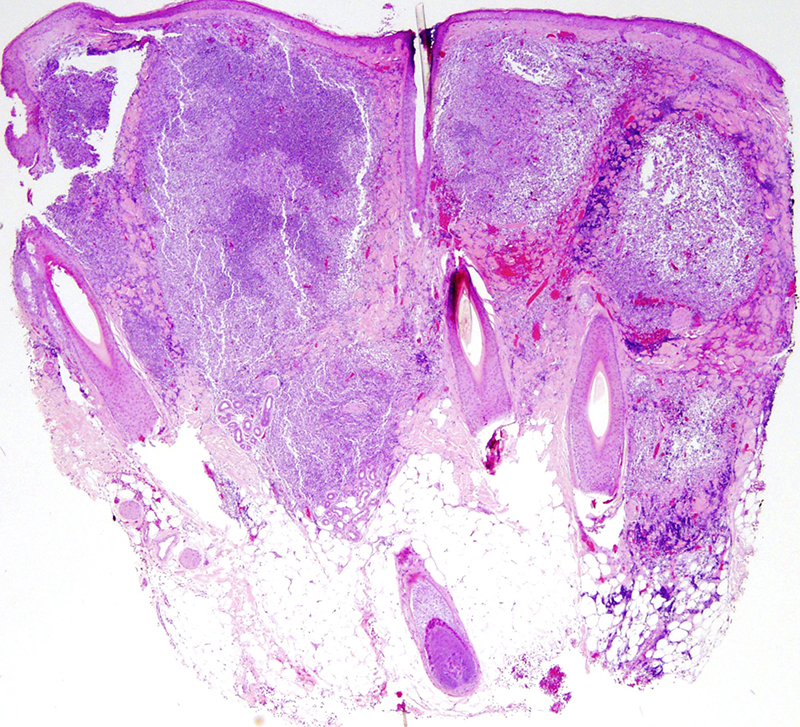 In this regard, the differential diagnosis is largely between a grade II nodal follicular lymphoma secondarily involving the skin versus a primary cutaneous follicle center lymphoma with an unusual nodal follicular phenotype. 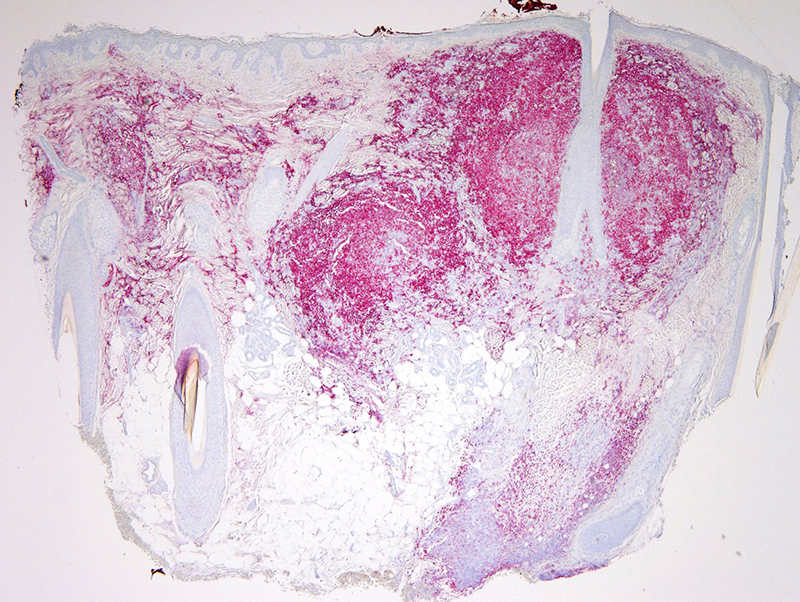 Indeed approximately 30% of primary cutaneous follicular lymphomas exhibit a phenotypic and cytogenetic profile indistinguishable from nodal follicular lymphoma. It is not my impression that the patient has an established history of nodal lymphoma. 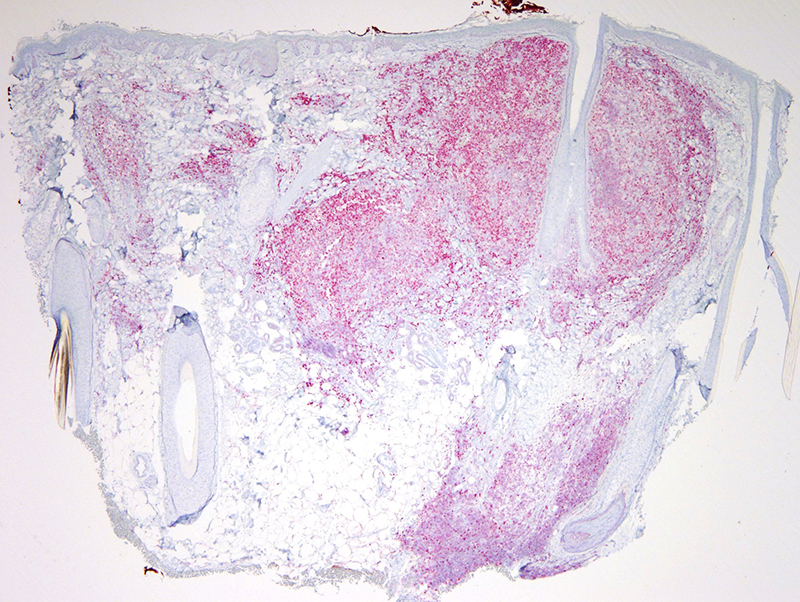 In the absence of known extracutaneous disease at the time of the initial presentation, it is reasonable to conclude that we are dealing with a primary cutaneous follicle center lymphoma. 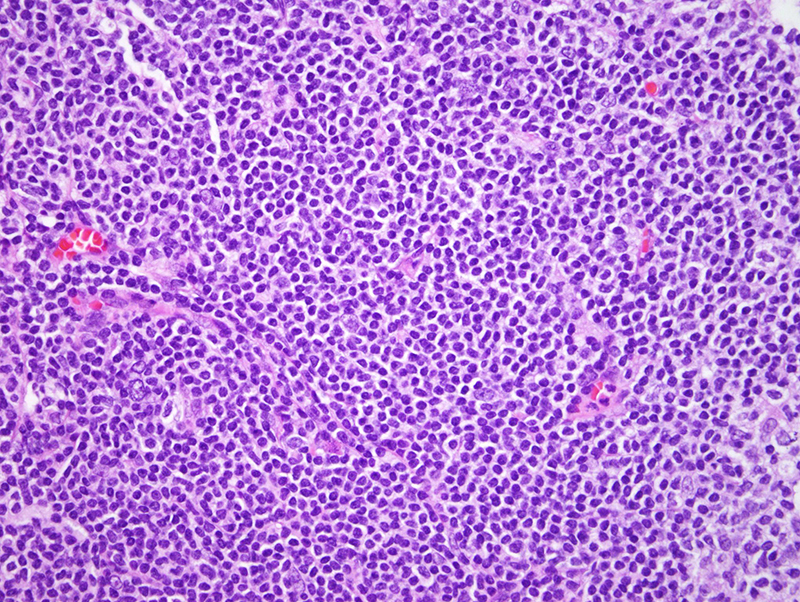 I have assigned a grade to the neoplasm although in the context of skin follicular lymphoma, the grade and architecture are not considered significantly important prognostically unless a follicular lymphoma initially presenting with a lower grade cytology and architecture undergoes diffuse large cell transformation. 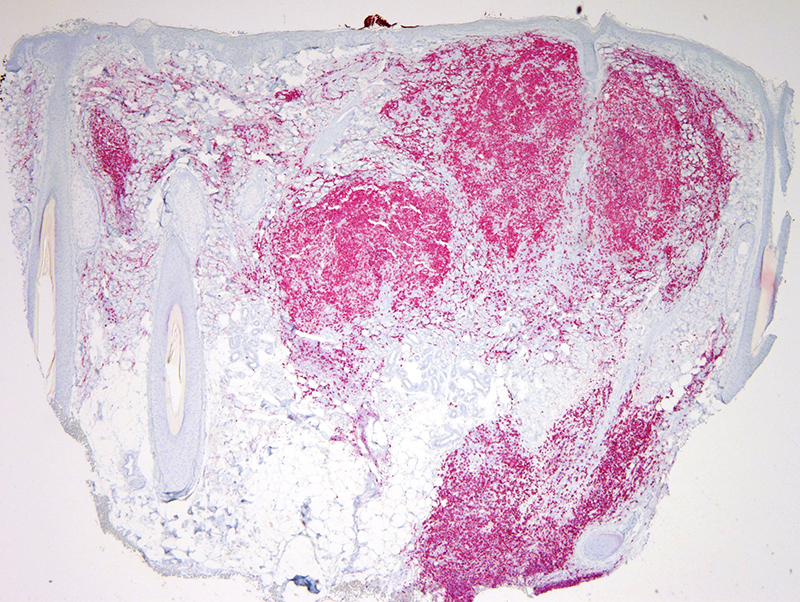 From an ontogeny perspective, this neoplasm is of a nonactivated germinal center phenotype, being of early germinal center cell origin. A local approach is very reasonable. I view the process as indolent B cell lymphoproliferative disease, pending of course exclusion of a primary extracutaneous follicular lymphoma.